The de Havilland DH 60 Moth was a 1920s British two-seat touring and training aircraft that was developed into a series of aircraft by the de Havilland Aircraft Company. 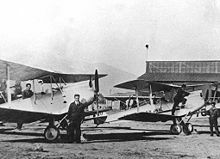 The DH 60 was developed from the larger DH 51 biplane. The first flight of the Cirrus powered prototype DH.60 Moth (registration G-EBKT) was carried out by Geoffrey de Havilland at the works airfield at Stag Lane on 22 February 1925. The Moth was a two-seat biplane of wooden construction, it had a plywood covered fuselage and fabric covered surfaces, a standard tailplane with a single tailplane and fin. A useful feature of the design was its folding wings which allowed owners to hangar the aircraft in much smaller spaces. The then Secretary of State for Air Sir Samuel Hoare became interested in the aircraft and the Air Ministry subsidised five flying clubs and equipped them with Moths. The prototype was modified with a horn balanced rudder, as used on the production aircraft, and was entered into the 1925 King's Cup Race flown by Alan Cobham. 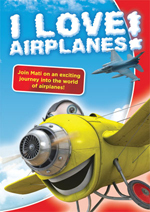 Deliveries commenced to flying schools in England. 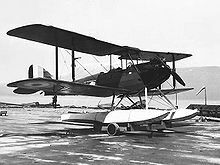 One of the early aircraft was fitted with an all-metal twin float landing gear to become the first Moth seaplane. The original production Moths were later known Cirrus I Moths. Three aircraft were modified for the 1927 King's Cup Race with internal modifications and a Cirrus II engine on a lowered engine mounting. Originally designated the DH.60X (for experimental) this was soon changed to Cirrus II Moth, the DH.60X designation was re-used in 1928 for the Cirrus III powered version with a split axle. The production run for the DH.60X Moth was short as it was replaced by later variants but it was still available to special order. Although the Cirrus engine was reliable, its manufacture was not. It depended on components salvaged from World War I-era 8-cylinder Renault engines and therefore its numbers were limited by the stockpiles of surplus Renaults. Therefore, de Havilland decided to replace the Cirrus with a new engine built by his own factory. In 1928 when the new de Havilland Gipsy I engine was available a company DH.60 Moth G-EBQH was re-engined as the prototype of the DH.60G Gipsy Moth. Next to the increase in power, the main advantage of this update was that the Gipsy was a completely new engine available in as great a number as the manufacture of Moths necessitated. The new Gipsy engines could simply be built in-house on a production line side by side with the production line for Moth airframes. This also enabled the de Havilland Aircraft Company to control the complete process of building a Moth airframe, engine and all, streamline productivity and in the end lower manufacturing costs. While the original DH 60 was offered for a relatively modest �650, by 1930 the price of a new Gipsy-powered Moth was still �650, this in spite of its state-of-the-art engine and the effects of inflation. In 1931 with the upgrade of the Gipsy engine as the Gipsy II, de Havilland inverted the engine and re-designated it the Gipsy III. The engine was fitted into a Moth aircraft, which was re-designated as the DH.60G-III Moth Major. The sub-type was intended for the military trainer market and some of the first aircraft were supplied to the Swedish Air Force. The DH.60T was re-engined with the Gipsy III and was re-designated the DH.60T Tiger Moth. The DH.60T Tiger Moth was modified with swept back mainplanes, the cabane struts were also moved forward to improve egress from the front cockpit in case of emergency. The changes were considered great enough that the aircraft was re-designated the de Havilland DH.82 Tiger Moth. Apart from the engine, the new Gipsy Moth was still a standard DH 60. Except for changes to accommodate the engine the fuselage remained the same as before, the exhaust still ran alongside the left side of the cockpits and the logo on the right side still read ‘De Havilland Moth’. The fuel tank was still housed in the bulging airfoil that formed the center section of the upper wing. The wings could still be folded alongside the fuselage and still had de Havilland’s patented differential ailerons on the bottom mainplanes and no ailerons on the top ones. Colour options still remained as simple as before: wings and tail in ‘Moth silver’, fuselage in the colour the buyer chose. As there was no real comparison between the original DH 60 and the new DH 60G, the Gipsy Moth quickly became the mainstay of British flying clubs as the only real recreational aircraft in the UK. By 1929 it was estimated that of every 100 aeroplanes in Britain, 85 were Moths of one type or another, most of them Gipsy Moths. This in spite of the fact that with de Havilland switching from the Cirrus to its own Gipsy engine, surplus Cirrus engines were now pouring into the 'free' market and a trove of Cirrus powered aircraft like the Avro Avian, the Klemm Swallow or the Miles Hawk started fighting for their share of the flying club and private market. Although replaced in production by the DH 60G-III Moth Major and later by the D.H.82 Tiger Moth, the Gipsy Moth remained the mainstay of the British flying scene up to the start of WWII. The war however marked the end of the Gipsy Moth and post-war it was quickly replaced by ex-RAF Tiger Moths pouring into the civilian market. In retrospect one can say that the first DH.60 arrived at the right spot at the right time: Next to the Moth's maiden flight, 1925 also marked the birth of the first five Royal Aero Club flying schools and because of its simplicity and reliable powerplant, the Moth was the aircraft of choice to equip the clubs. Vice versa, the clubs gave de Havilland a secure supply of orders. De Havilland could now use this safety to concentrate on developing the Moth further into a mass-produced mass-market aircraft. So it can be said that the Moth made the Aero Clubs at least just as much as the Aero Clubs made the Moth. Because of this headstart, the Moth became the mainstay of the clubs even long after more modern aircraft became available. With de Havilland's habit of painting the wings and tailplane of the Moth in silver also came the clubs' habit of distinguishing their aircraft by painting their fuselage in one distinctive club colour. Aircraft of the London Aero Club had a yellow fuselage (plus yellow struts and wheel caps); those of Newcastle a red one. Green stood for the Midlands and blue for Lancashire. Registration letters were black on the wings and, depending on the club colour, either black or white on the fuselage. As the Royal Aero Club marketed the idea of flying clubs to other members of the Commonwealth, the de Havilland Aircraft Company followed suit and soon established subsidiaries in Australia and Canada to stock the local flying clubs there with Gipsy Moths. Canadian Moths were offered with a detachable canopy for winter flying. Other factories to licence-build the Gipsy Moth were the Larkin Aircraft Supply Company in Australia (which built 32 for the RAAF). Although built for flying clubs rather than for individual air cruising, the Australian Moths were the DH.60 L 'Luxury' version and were delivered with their fuselages sporting the L's characteristic two-tone colour scheme rather than the fuselage entirely painted in the club colour as was customary in British flying clubs. Other manufacturers were Morane-Saulnier in France (40) and a company called Moth Aircraft Co. in the US (18). Most Gipsy Moths belonged to flying clubs, but after His Royal Highness Edward VIII of the United Kingdom purchased a Gipsy Moth (G-AALG) for his own private flying, the aircraft became the latest fad for high society. It did help that the redesigned DH 60L had larger cabin panels that enabled passengers to 'step' into the cockpit instead of sliding into it. The new enlarged luggage locker was also now big enough to store a set of golf clubs. In fact, fairways made great landing fields for those rich enough to belong to both a flying club and a golf club, and golf resorts in the more scenic parts of the UK were great weekend getaways for upper-class sporty young flying lads (and increasingly also sporty young flying ladies). In addition the Moth was used for many record flights. The ‘Lonely flyer’ Sir Francis Chichester flew his Gipsy Moth from England to Australia, further to New Zealand and then across the Pacific to Japan. Although he originally planned to fly around the earth, a crash in Japan convinced him to switch to sailing. (Out of respect for his airplane, he named his yachts ‘Gipsy Moth II’ and ‘Gipsy Moth III’.) Of the aviatrixes, London secretary Amy Johnson flew her Gipsy Moth (G-AAAH "Jason") 11,000mi (17,703km) to Australia and Jean Batten used a Gipsy Moth for her flights from England to India and England to Australia (the aircraft used to fly to India was G-AALG borrowed from the Prince of Wales). Although the DH 60T was aggressively marketed as a military trainer, response was rather lukewarm. In particular the RAF only purchased a handful of aircraft for testing and found that many aspects of the Moth did not suit their method of military flight training. Moth trainers were however ordered by a number of foreign air forces including those of Argentina, Australia (as noted above), Austria, Norway, Portugal, Sweden and the flying arm of the Danish Navy. Finland licence-built 22 Moth trainers, but equipped them with the old Cirrus engine. Two Gipsy Moths were purchased by the Paraguayan government during the Chaco War. They were used as liaison aircraft. 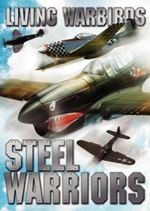 One was lost in a fatal accident at x�u-Guazx� Air Force Base and the other survived the war. It was transferred to the Paraguayan Aeroclub in 1936. The bulk of military Moths however were civilian sportplanes impressed by their countries air forces and used as trainers and liaison aircraft. Like this, civilian Moths ended up flying for both the Nationalist and Republican air forces during the Spanish Civil War. This was repeated on a larger scale during the Second World War where Moths ended up flying, amongst others, for the air forces of Egypt, New Zealand, China (with several captured ex-Chinese aircraft flying for the Japanese), Ireland, Italy, Iraq, Belgian Congo, Dutch East Indies (later taken over by the Indonesian AF), South Africa, New Zealand and the US Navy. Prototype and early production aircraft powered by a 60hp (45 kW) ADC Cirrus engine. 8 pre-production and 31 production aircraft built. DH 60 Cirrus II Moth. (also known as the Hermes Moth). 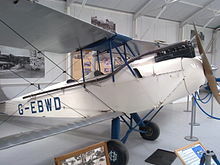 Introduced in 1927 this variant had a slightly larger wingspan and decreased distance between the upper and lower wings. Powered by an uprated (105hp/78kW) Cirrus Hermes engine, 32 built. A small number of DH 60 Moths were fitted with the Armstrong Siddeley Genet radial engine. The type was used by the Royal Air Force Central Flying School for display purposes, six built. First major overhaul of the design: Cirrus engine replaced by a 100hp (75kW) de Havilland Gipsy I engine. Powered by a 120hp (89 kW) Gipsy II. Commonly referred to as a 'Gipsy Moth' just like the 100hp (75 kW) version. Offered with wider let-down cockpit doors and an enlarged luggage locker behind the rear cockpit. The luxury version also featured a state-of-the-art 1930's style two-color paint scheme for the fuselage. The original plywood box fuselage replaced with a construction of metal stringers covered with doped fabric. Although overall weight increased, maintenance became easier and metal fuselages became standard for all later versions. Four pre-production aircraft, 536 built by de Havilland at Stag Lane, 40 built by de Havilland Canada, 161 built by the Moth Corporation in the United States, 10 built by the Norwegian Army Aircraft Factory in Norway. Trainer variant of the Metal-Gipsy Moth. Rearranging of the inner wing bracing wires allowed for easier access to the front cockpit, a necessity for military pilots wearing parachutes. 2 prototypes and 47 production aircraft. In 1931 the company took a de Havilland Gipsy II engine and turned it upside down and re-designated it the Gipsy III, this engine was then fitted to the Moth to create the DG 60GIII Moth, 57 built including ten as fuselages for the Royal Air Force as Queen Bee target drones. In 1934 from the 58th DH 60GIII onwards, the engine name was changed to Gipsy Major and the resulting variant was renamed the DH 60G III Moth Major. 96 were built including ten as fuselages for the Royal Air Force as Queen Bee target drones, production ending in May 1935. A final Moth Major was built by the de Havilland Technical School, giving total production of the DH 60GIII of 154. Eight prototypes with swept wings for a proposed RAF trainer. Because of the substantial changes, the aircraft entered production as the DH 82 Tiger Moth. Note: Variant information taken from Bransom. There are currently 31 de Havilland DH 60 Moths on the UK aircraft register (as of 4 April 2010). 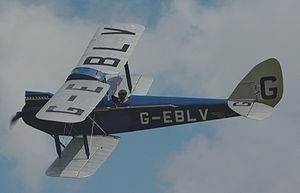 A DH 60, G-EBWD, flies regularly during displays at the Shuttleworth Collection near Old Warden, Bedfordshire, England. This Moth was originally Lord Shuttleworth's own private plane and during its career was extensively modified with an original Cirrus Hermes engine but an x-legged undercarriage and different windshields on the front and rear cockpit. DH 60G Gipsy Moth, G-AAAH, Jason used by Amy Johnson is on static display at the London Science Museum. DH 60G Gipsy Moth, formerly CC-FNG now dressed as 'LAN 32' at Museo Nacional Aeronx�utico y del Espacio de Chile, Chile. Bransom, Alan. The Tiger Moth Story, Fourth Edition. Shrewsbury, UK: Airlife Publishing Ltd., 1991. ISBN 0-906393-19-1. Jackson, A.J. 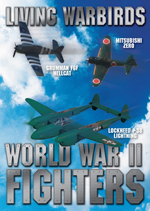 British Civil Aircraft since 1919: Volume 2. London:Putnam. Second Edition, 1973. 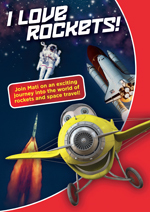 ISBN 0 370 10010 7.